La Roche and Grand Ruisseau is a wonderful visual testimony to the rich Acadian heritage of Prince Edward Island. Most of the photos were taken between 1880 and 1980 and complemented by Georges Arsenault?s extended historical captions, they lovingly illustrate the family and community life of this most Francophone part of Prince Edward Island. 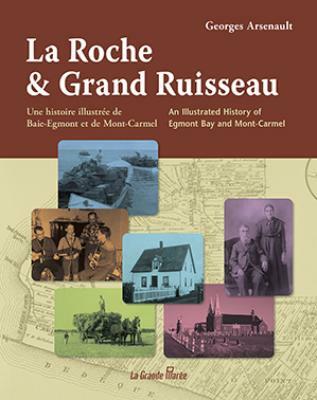 La Roche and Grand Ruisseau are the old names for the neighbouring parishes of Egmont Bay and Mont-Carmel, which make up almost all of the Evangeline Region of PEI. Renowned for its talented musicians and artisans, this region is also recognized as the stronghold of the co-operative movement on PEI. As a native son of this region of the Island, historian and folklorist Georges Arsenault knows it well and holds it dear to his heart. This book celebrates the bicentennial of the arrival of the first settlers to this area in 1812.